Giants lefty Madison Bumgarner took a no-decision after allowing five hits and three walks with seven strikeouts over seven scoreless innings Tuesday vs. the Astros. Bumgarner delivered one of his best starts of the summer against a challenging opponent, but didn't get the win as Houston rallied to win the game after he departed. His outing ended after 100 pitches, 64 of which went for strikes. The southpaw lowered his ERA to 2.69 and has limited opponents to a .225 batting average this year, although his 1.25 WHIP and 7.7 K/9 rate are far from elite. Bumgarner's peripherals make him a slight regression candidate down the stretch, although he's still worth owning in all leagues. His next start will be at Dodger Stadium on August 13. Padres outfielder Manuel Margot went 3-for-5 with a triple, a homer, two runs and five RBI against the Brewers on Tuesday. Margot sparked San Diego's 11-5 win with a game-high five RBI from the leadoff spot while finishing a double shy of the cycle. The long ball was only his fifth of the year, however, as his power numbers have dipped in his second full season. He's been red-hot over the past month, however, batting .340 over his last 22 games dating back to July 8. The 23-year-old could use some polish on the bases, however, as he's been caught stealing nine times in 19 attempts this year -- most in the MLB. Cardinals first baseman Matt Carpenter went 1-for-4 with a solo homer Tuesday against the Marlins. Carpenter went yard in the eighth inning for the game-winning homer in a 3-2 Cardinals victory with his National League-leading 30th long ball of the year. The dinger was his fifth in his last eight games as he continues to swing a hot stick for St. Louis, pacing the NL in doubles (33) and OPS (.987) this year as well. Carpenter is enjoying the best season of his career at age 32 and will continue getting plenty of opportunities to rack up counting stats from the leadoff spot. 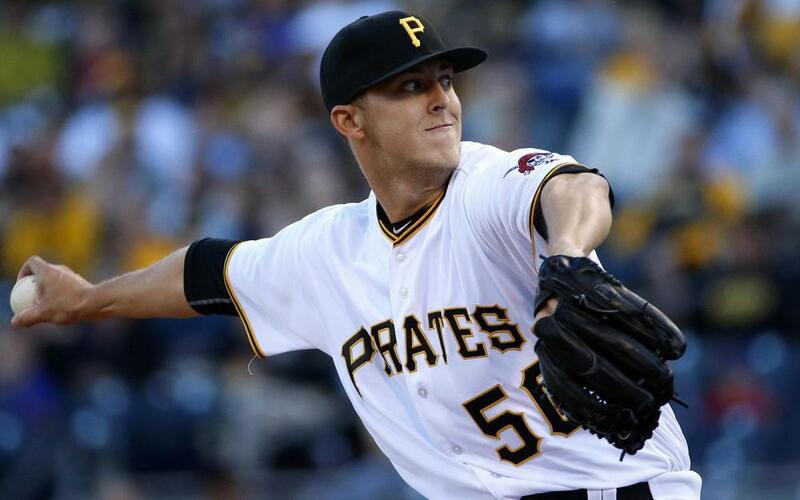 Pirates righty Jameson Taillon won after allowing two runs on 10 hits and one walk with three strikeouts in a complete game against the Rockies on Tuesday. Taillon notched his second career complete game -- both of which have come this season -- at Coors Field, of all places, scattering 10 hits as Pittsburgh rolled to a 10-2 victory. He did not allow any runs until the sixth and threw 70 of his 107 pitches for strikes. Taillon has now won four of his past five starts while ripping off three straight quality starts, improving his ERA to 3.63 on the season. He'll try to keep it up in an easier road matchup against the Giants on August 12. Cardinals righty Miles Mikolas won after allowing two runs on five hits and no walks with one strikeout over seven innings against the Marlins on Tuesday. Mikolas improved to 12-3 with a 2.74 ERA despite recording only one strikeout, as he recorded 14 outs on the ground and was very efficient by needing just 81 pitches (59 strikes) to complete seven frames. The lone strikeout wasn't unusual, however, as he's tallied just 98 whiffs across 144 1/3 innings for a 6.1 K/9 rate. The outing was his third straight quality start, and he has now allowed three earned runs or less in nine consecutive starts. Mikolas will look to keep it up vs. the Nationals at home on August 13.